When you take lyrics out of music, the question arises, what theme ties the music together? 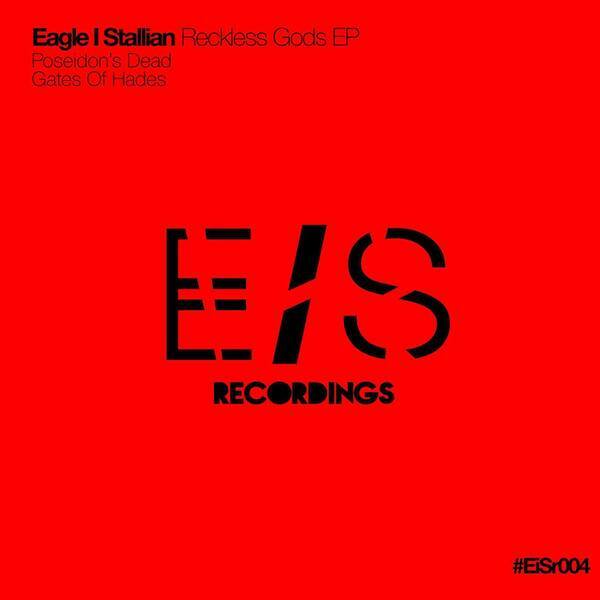 In the case of the latest EP from EDM duo Eagle I Stallion, the Reckless Gods EP the title really says it all. The actual Greek god’s don’t necessarily influence the sound but that doesn’t stop the duo from crafting two great EDM tracks that give something to older and newer EDM fans alike. Opening on a beat reminiscent of Azealia Banks “212” the track “Poseidon’s Dead” has an immediate kick to it, that keeps the drive of the song moving. The track mixes modern EDM sounds and styles with an older, longer form EDM writing. At times it does feel like the less bass-heavy sections are almost vocal-less verse sections, that may feel long to more pop-oriented listeners, but even to less patient ears the drop sections leave more than enough to make them worth the wait. There’s a much more ambient sound the percussion of “Gates Of Hades” with a distinct echo to its enigmatic clicking intro. As a barrage of sounds slowly build into the song the drop pushes the intensity of its lighter sections that much harder, in contrast to the tonal changes of the drops in “Poseidon’s Dead.” Later “verse” sections feature ominous vocals, presumably from the titular Hades that carry the song more effectively from drop to drop. The duo also make a point of mixing in varied percussion throughout their drop sections and adding in many different layers of synths to keep listeners paying attention interested without destroying the great flow of the beat. The Reckless Gods EP is a well produced set of tracks that shows promise for further releases. The mix of old and new sensibilities means the duo will move fans of both camps and could easily mix pop and non-pop versions of tracks depending on how they want to take their music going further, especially if they add vocalists down the road.